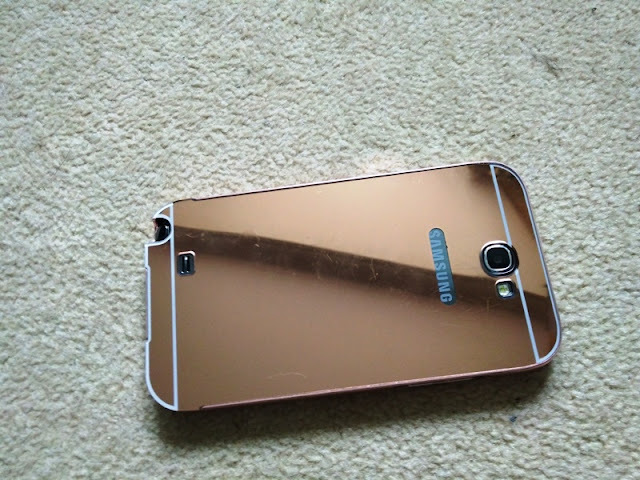 One thing you can really love about a phone is a phone internal design with simple construction. 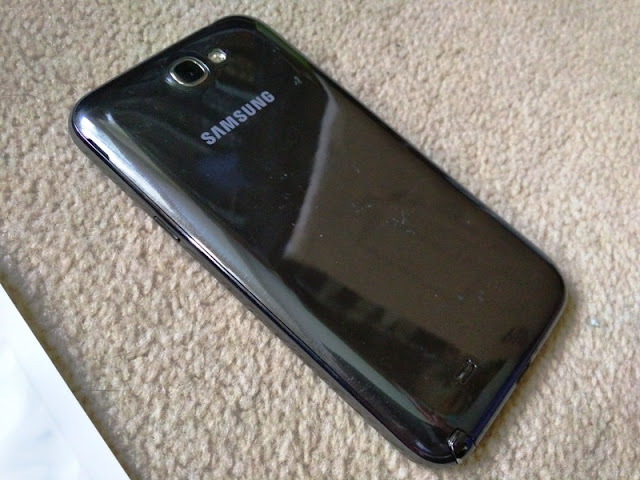 Take for instance the Samsung Galaxy Note 2 phone. 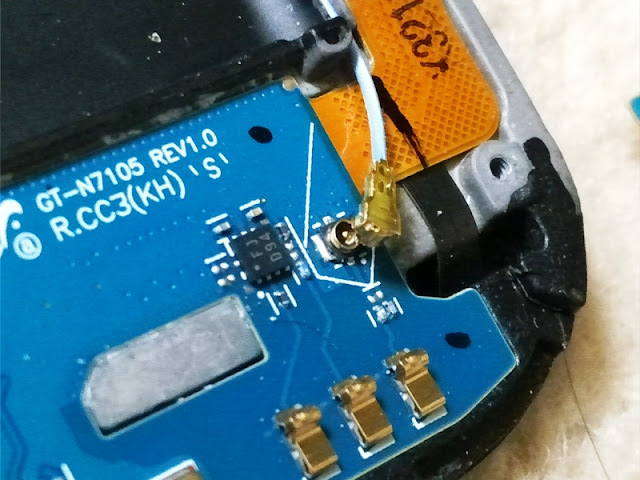 The Galaxy Note 2 has a nifty charging port design with its own little circuit board that you can replace very easily should your charging port start to malfunction. 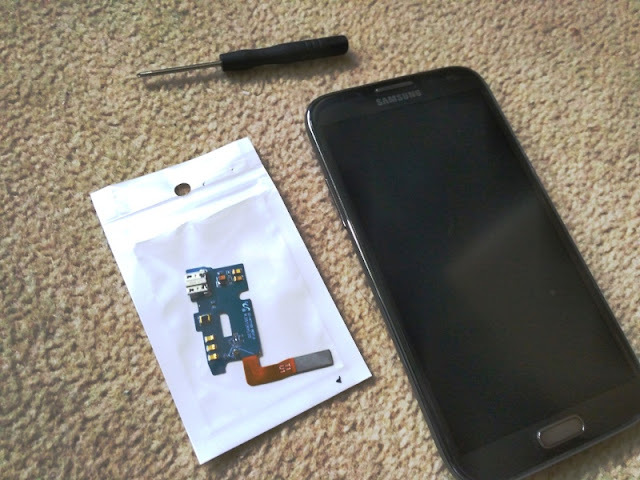 Replacing the charging port on a Galaxy Note 2 phone is a simple fix anyone can do, and it's inexpensive too! 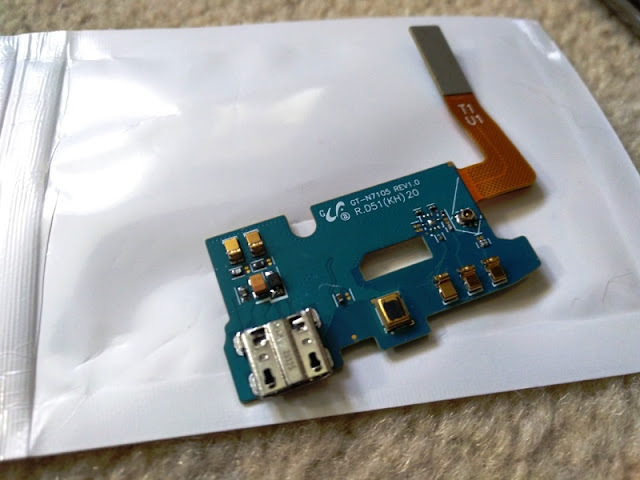 All you need is to get a replacement for the charger port micro USB connector flex cable ribbon for your Galaxy Note 2 (in my case, a Note 2 GT-N7105), as well as a tiny screwdriver and plastic trim tool. 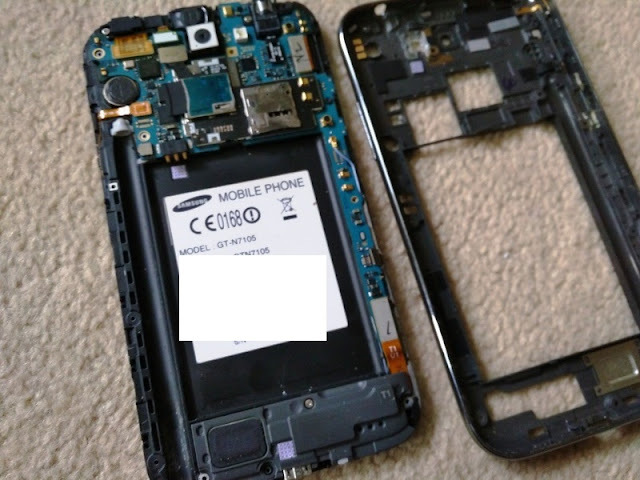 Be sure to get the right charging flex cable for your Galaxy Note 2 model as they are all not the same. 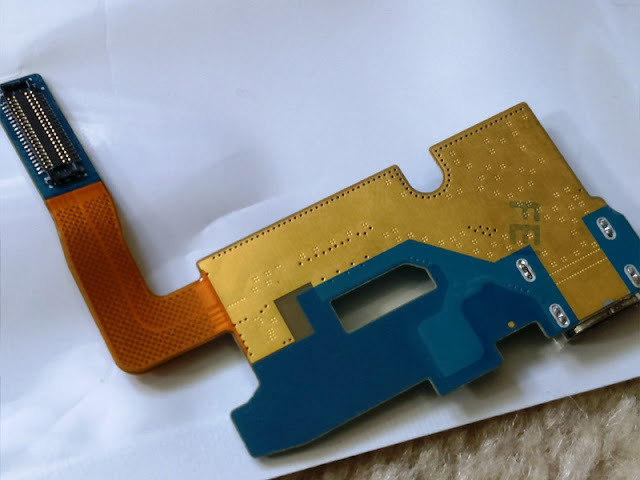 Replacing the charging port flex cable ribbon on a Samsung Galaxy Note 2 N7105 will only cost around £5 and take less than 10 minutes to repair. Let's get to it! 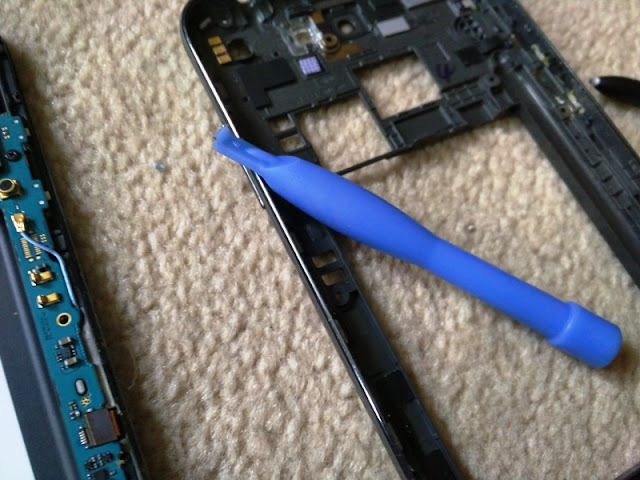 Step 1: Remove any phone casing you may have as well as the Note " stylus pen from its housing. 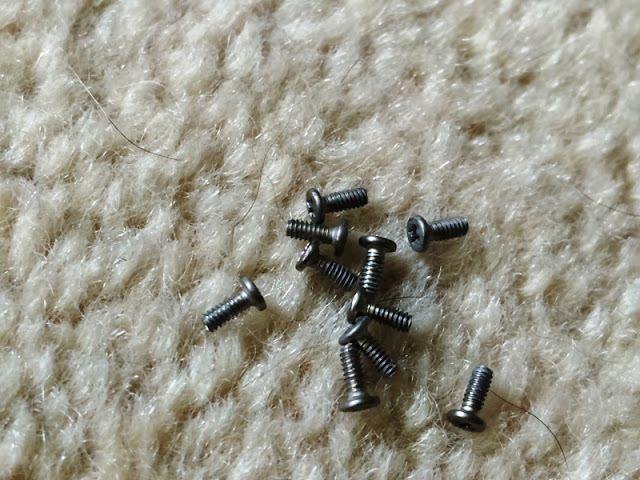 Step 4: Remove the tiny screws. It's 11 screws in total. 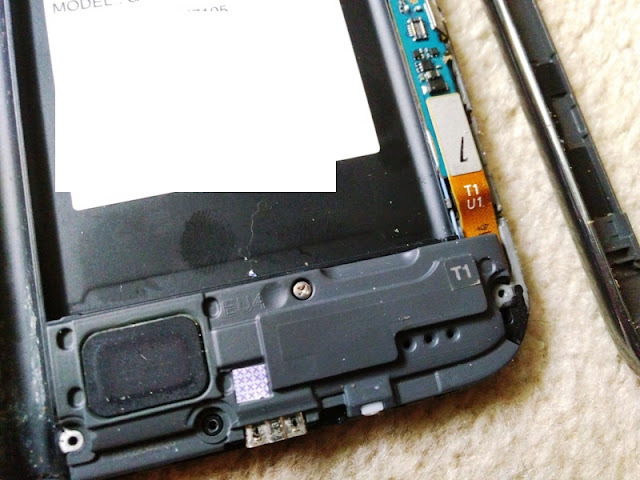 Step 5: Use a plastic trim tool to remove the frame of the Note 2 N7105 phone from the screen by sliding the non-marking tool inside the battery edge and around the outside of the frame of the phone until you hear the clips snap out and the frame is loosened up. Then, pry out the screen. Step 6: Remove the speaker housing by unscrewing the single tiny screw. 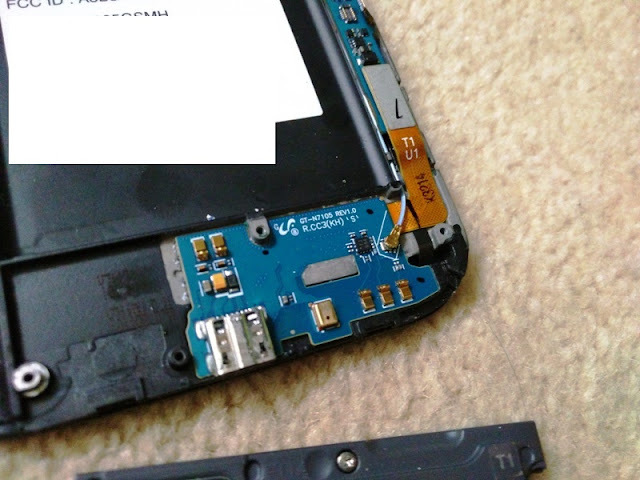 Step 8: Detach the charging port blue cable and the orange charging port flex cable ribbon. 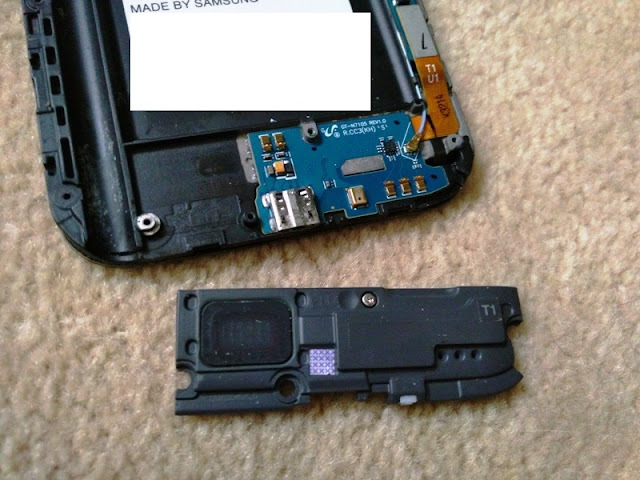 Step 9: Compare side by side the old Galaxy Note 2 N7105 charging port flex cable ribbon with the the replacement. Perfect match! 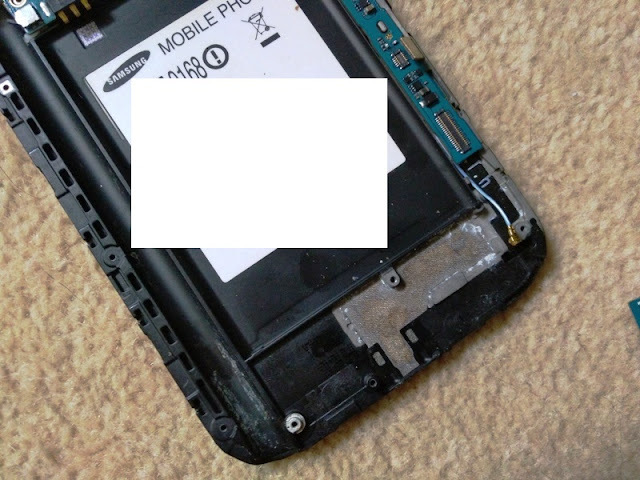 Step 10: Remove the the old Galaxy Note 2 N7105 charging port flex cable ribbon by prying it out with a non-marking tool. 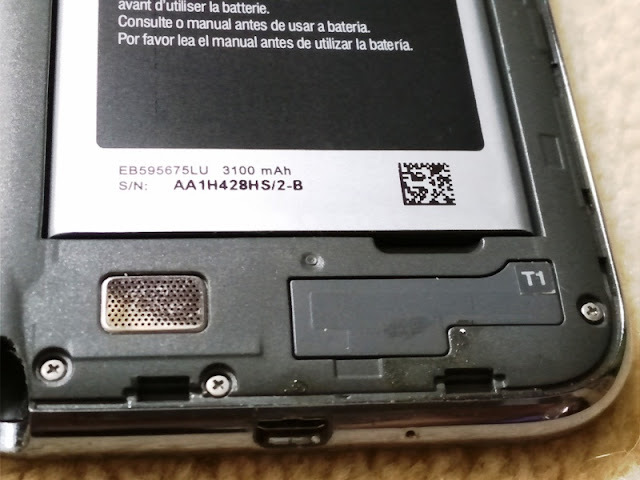 The back of the charging port may have some sticky adhesive so use a bit of force. Step 11:Replace the old charging port circuit board with the new one and reattach the tiny blue cable and ribbon cable. Woala, you're done! Now, it's a good time to test that the replacement works before putting everything back together. That's it! 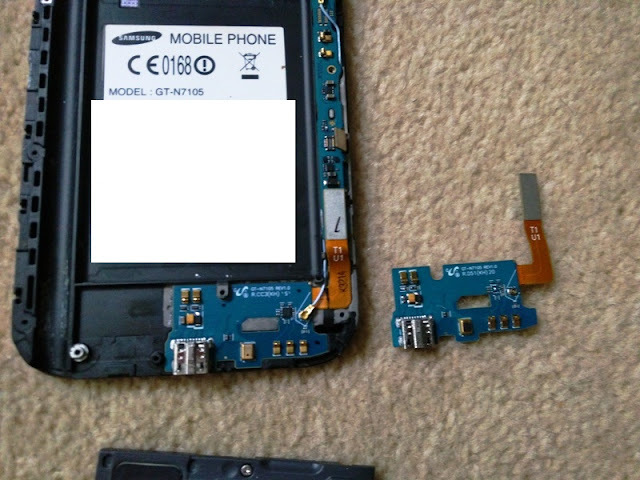 You have now replaced the Note 2 N7105 charging port flex cable and saved yourself £100's in the process!